We were fortunate in having Professor Hanns Höfle to run this 2 day workshop which included indoor presentations, and practical field visits to Fontmell Hill Estate, Stourhead Western Estate and Melbury Estate. 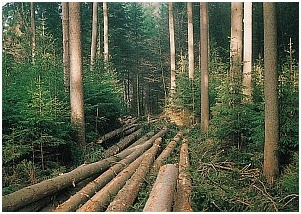 Prof. Hanns Höfle holds an MSc and a PhD in Forestry from the University of Freiburg, and a PhD from the Swiss Federal Institute of Technology in Zurich, and the University of Göttingen. In addition to his distinguished academic career he has considerable practical experience which includes managing the central machine shop of the State Forest Service of Lower Saxony and serving as a Forest District Officer. He acted as chairman of the Joint FAO/ECE/ILO Committee on Forest Technology, Management and Training from 1998 to 2004. Sadly, Professor Hanns Höfle died in June 2014 whilst trekking in the mountains of Georgia. He was an internationally respected forester and will be greatly missed. Copies of the Prof. Hanns Höfle’s presentations at the workshop can be viewed or downloaded as PDF files below. We would like to thank Canopy Land Use and Selectfor for arranging this seminar. Our thanks also to Sir John Elliot Gardiner and Nicholas and Henry Hoare for allowing us to use their woodlands for the practical work, and to P.J. Cleary (buyers of Hurley Ash) for their generous support.